Many of us are quick to assume that big corporations are the enemies of the environment. 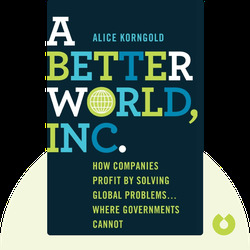 A Better World, Inc. explains how the opposite is true: companies are in a better position to solve some of the world’s biggest problems than many governments and campaign groups. 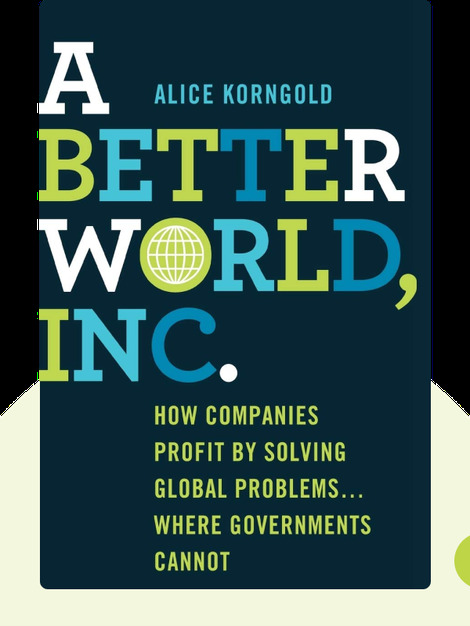 This book outlines why, and lists the steps companies can take to improve our planet, while raising their profits at the same time. Alice Korngold is the president and CEO of Korngold Consulting, LLC. She advises global corporations on working with nonprofit organizations and raising profits by helping the world. She’s written many other successful books, including Leveraging Good Will: Strengthening Nonprofits by Engaging Businesses.